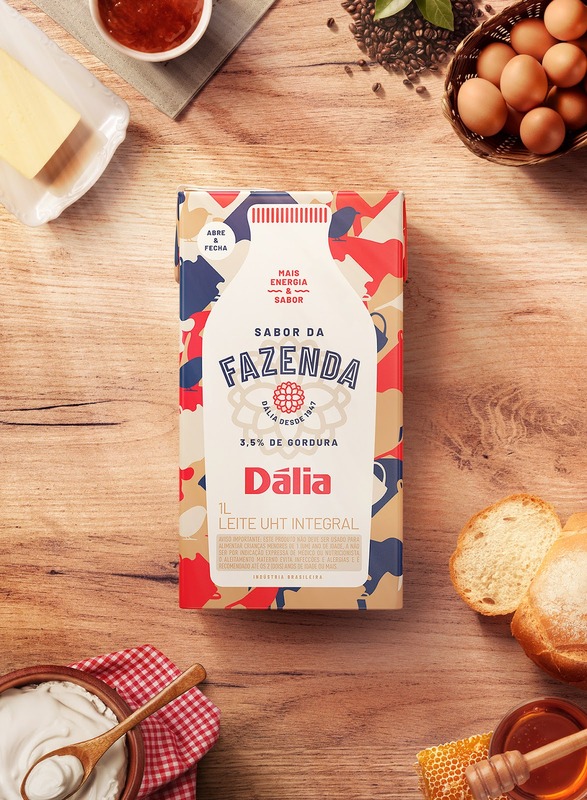 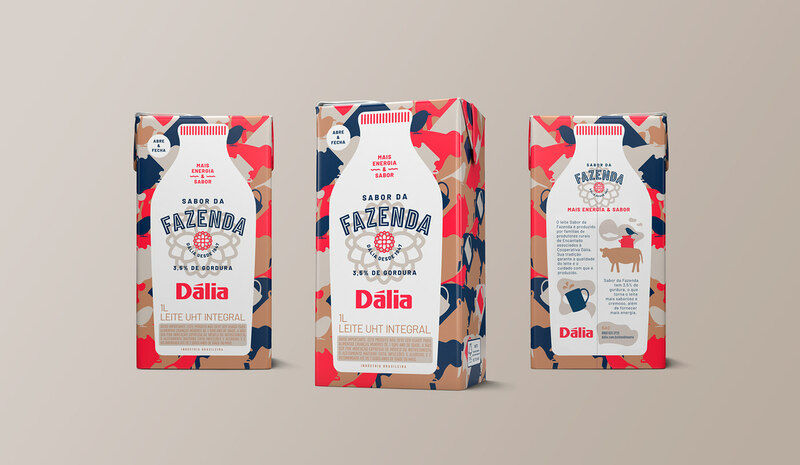 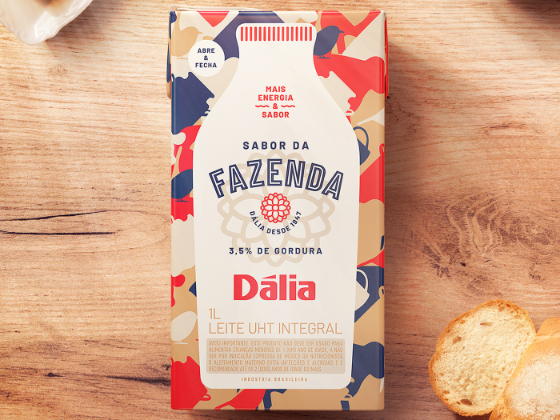 Concept, visual language and packaging design for the innovative line of dairy products "Sabor da Fazenda", from Dália Alimentos. 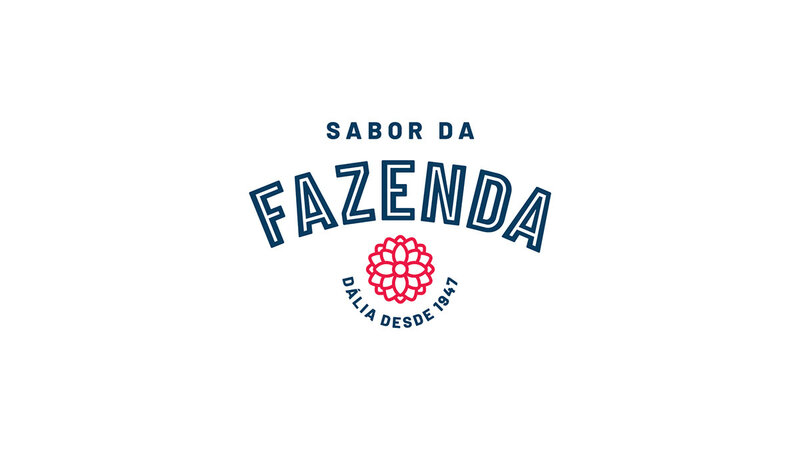 The "Sabor da Fazenda" line rescues the characteristics, reliability and care of small farmers to translate the quality and benefits of their products. 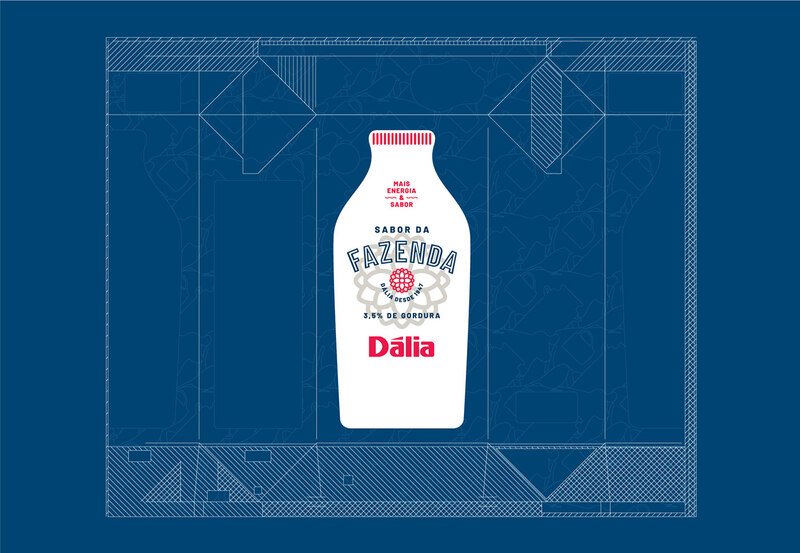 That's why the visual concept uses the illustration of a glass bottle of milk, cows, birds and an ancient can used for milk placement, besides other illustrations of farm elements. 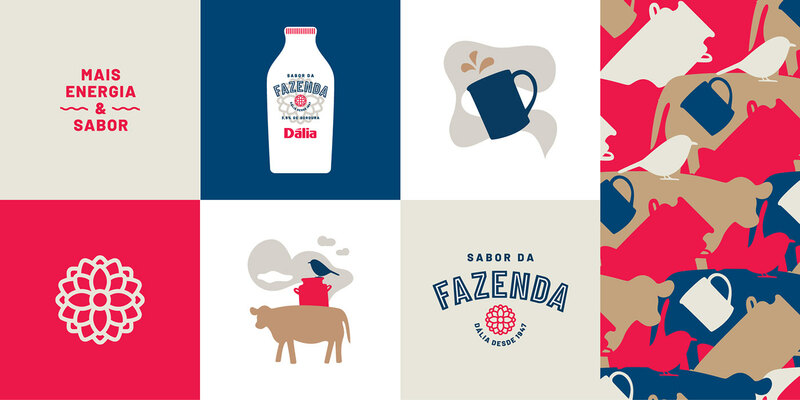 This illustrations were disposed as a pattern inspired by the visual of an old fashioned tablecloth, also a reference to the ancient and traditional way of making dairy products.